There are many reasons why estate planning is essential, and one of them is that it is a good wealth management tool as well as offering peace of mind by caring for your family. One of the main focuses of estate planning is formalizing who inherits what assets from your estate, when they can have control over it and even, to some degree, the extent to which they can utilize it. Inheritance through a Last Will and Testament is the traditional means to achieving this, but gifting offers several advantages as well. Here are some insights from your estate planning attorney in New Jersey. New Jersey has just taken the step of repealing estate tax, which will apply from January 2018, which is great news for anyone looking to preserve their wealth for future generations. For the year of 2017, this exemption has risen from a very low $675,000 to $2 million, and the legislation also eliminates provisions that imposed estate taxes on NJ property of non-resident decedents. However, the state has not repealed its inheritance tax laws, which is levied on siblings, nieces and nephews (spouses and children are exempt) for inheritance of over $500. On a federal level, the exemption is much higher at $5.45 million, a figure that can be increased to $10.9 million with professional planning, without hitting the 40% tax. Gifting provides a way for people to pass on their wealth to those close to them without having to worry about facing significant taxation or having to wait until after your passing. 2017’s exemptions from the IRS are at $5.49 per individual with an annual gift exclusion of $14,000. This allows you to give money to children, loved ones and worthy causes without facing a tax burden as a result, as long as you stay under the $1 million limit, making it an effective supplement to traditional inheritance – even helping to avoid inheritance taxes in some cases. This effectively frees up funds for college educations, a GRAT, contributions to charity or even paying a friend’s medical fees – whatever is closest to your heart. It also allows you to see the fruits of your generosity in person, which is a great reward. If you would like further guidance on how to manage the distribution of your assets, create a trust or draw up a Last Will and Testament, Frank R. Campisano can provide you with the necessary expert legal advice and professional insight into NJ estate planning. 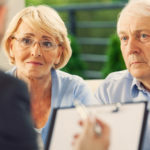 In addition, he can also assist you with all other aspects of your estate plan, from drawing up medical directives to Power of Attorney documents. For more information on setting up or changing an estate plan, please contact the law firm of Sedita, Campisano & Campisano, LLC in New Jersey and visit our website at http://www.scclegal.com/. With templates of legal documents readily available online, it’s no surprise that many people are creating their Last Will and Testaments themselves. After all, it’s an easy way to save some money, right? In fact, these wills can quickly become a costly disaster. Here are some of the problems with DIY wills, from a top NJ estate planning attorney. Using a single tool for a complex financial situation: No matter how simple you think your will should be, the fact is that there are more and often better tools out there to get you the results you want than a will on its own. 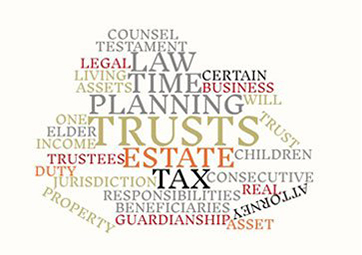 There are family trusts that allow you to bypass estate tax, legal mechanisms that can help you determine the rules for the use of your assets, and so forth. While a will is useful, it is not always the best single solution even for small, simple estates. Misinterpretation of language/lack of clarity: Anyone who has ever had to read a legal document knows just exactly how much effort needs to go into the language used in the document to ensure there are no conflicts, loopholes or confusion. DIY wills often lack this element, and missing or incorrect clauses made them vulnerable to misinterpretation. This means your will could end up contested in court by fighting loved ones, or that your wishes are misinterpreted or ignored. Not covering all your bases: Estate planning attorneys have the experience needed to ensure that your will comprehensively covers your estate. DIY wills often fall victim to missing assets and accounts, forgotten provisions, or excluded beneficiaries. With an attorney, no stone will be left unturned and everything from your spouse and children to your pets and favorite charity will be included. There is no one-size-fits-all solution: DIY wills treat every person’s estate as equal – and yet none of us have the same financial needs, obligations and responsibilities as anyone else. Blended families, single people, wealthy people, people needing Medicaid planning, people with pets, people with sick spouses, new families… all of us have an entirely unique financial situation and only a unique financial solution will ensure that our wishes for our estates are properly met. You deserve a legal solution that is uniquely tailored to your needs, speak to New Jersey estate planning attorney Frank R. Campisano today. Whether you want to create a Last Will and Testament or are interested in updating more complex estate planning documents such as trusts, Medical Directive and Power of Attorney documents, he can ensure that the right legal documentation is developed in order to meet your specific wishes.